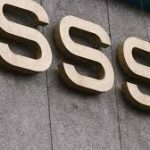 For those in the CARAGA region specifically in the province of Agusan del Sur who are looking for SSS Agusan del Sur Branch Contact Number, we have provided at the bottom of this article, the location address, contact number, and email address of the agency branch in San Francisco, Agusan del Sur. The agency’s branch details including the address, contact number, and email address were sourced straight from the website sss.gov.ph. For inquiries in connection with your membership, loan application, or benefits, it is best to visit their branch office personally. You can also use their telephone number or email address to relay your concerns or inquiries. Given below is the location address of SSS Agusan del Sur branch including their telephone number and email address.